The only feature I couldn't find that I expected was a commentary track. Then again, none of the Harry Potter movies have commentary tracks. Beyond that, though, this 2-disc version of the second Harry Potter film has a lot to offer! I highly recommend the 2-disc version of Chamber of Secrets, and I always recommend widescreen editions of everything. The bonus features include 19 additional scenes, one of them essential for a back story used in the sixth film. I won't spoil anything, though! The theatrical trailer is included, but that's nothing special. The best feature is probably the section on the lying man, really can't recall his name, sorry. That section is insanely funny to me. Still, you'll want the 2-disc version primarily for the additional scenes. Make sure you see those scenes before you see the sixth film. When J.K. Rowling released these books and all the media were having a field day over Christians not wanting these in public school, my best friend wouldn't allow her kids to read the books or watch the movies. I was working in a hair salon at the time and after a little shop the majority decided to read these books to see what the big deal was. I feel the media actually helped the series "Harry Potter" and ended up getting a lot of Christians as well as others to read these books just to see for themselves. Should I watch the movie? I am a mother of 3, whom my oldest and I made it a contest to see who could finish reading them first. She loves to read because of these books, and now reads anything she can get her hands. My 13 year old loves the movies as well as dad, who hate reading. This series is no more than what they show on TV, or perhaps a cartoon in some ways. I do not feel that anyone would really think of themselves as a wizard who can conjour magic, fly, or conduct spells on others. Great Series!!! Fully recommend!!!!!! Harry Potter's second installment was most definately worth seeing. It follows very closely to the book for those who have read them. As in the books, much of the action comes in later so this movie is not near as action packed. Just like in the Lord of the Rings trilolgy there is much story telling that must take place in order to understand the characters and their journey. This movie is more story telling, but it is neccessary for future understanding. I highly recommend these movies but you must watch them in order to fully grasp Harry Potter and his journey through life. Prepare yourself for a darker fantasy this time with some harrowing and scary special effects. Apparently J.K. Rowling has hit upon the fact that kids love to be scared stiff along with being entertained by touches of humor and excitement--although I think her imagination works overtime on scenes like the vomiting fit for Ron, one of the more tasteless sequences. And apparently the makers of this Potter film have met the challenge of providing spiders and snakes that are hideous enough to have Ron and the audience in a fit of hysterics. It's all here--the main events anyway of the Rowling book--and for extra measure they've given a much needed humorous role to Kenneth Branagh who has great fun with his role as the self-loving Gilderoy Lockhart. The only real drawback is that Maggie Smith has very little to do--but the main chores belong to Daniel Radcliffe, Emma Watson and Rupert Grint who continue to charm as the three leads. Jason Isaacs as Lucius Malfoy has a commanding presence and an amusingly wicked final scene involving the computer created Dobby who steals every scene he's in. 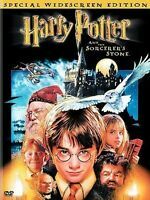 Should keep Potter fans happy--and for a movie two-and-a-half hours long it moves along at a brisk pace from one adventure to another with what by now appears to be mechanical skill, thanks to artful direction by Chris Columbus who knows how to keep this sort of thing moving. John Williams' perky score is a distinct help. Excellent Movie! Great for all Ages! Harry Potter & the Chamber of Secrets is the second installment of the Harry Potter series. In this movie we welcome back the beloved trio to their second year at Hogwarts. Everything seems ok at first, but then Harry keeps hearing voices, and it seems he is the only one that can hear them. Strange things begin to happen and a mysterious chamber seems to be involved. Has Harry lost his mind? Is he behind all the strange happenings at Hogwarts? All in all this is a great movie, though I would recommend reading the books for more details. We meet new characters such as Gilderoy Lockheart, the new Defense against the darks arts teacher. And of course we get to see yet another one of the trio's great adventures! This is a fun movie and great for all ages. It's a definite must have for your DVD collection!